A wife+husband team, we're passionate about creating meaningful, connected weddings, authentic to you. 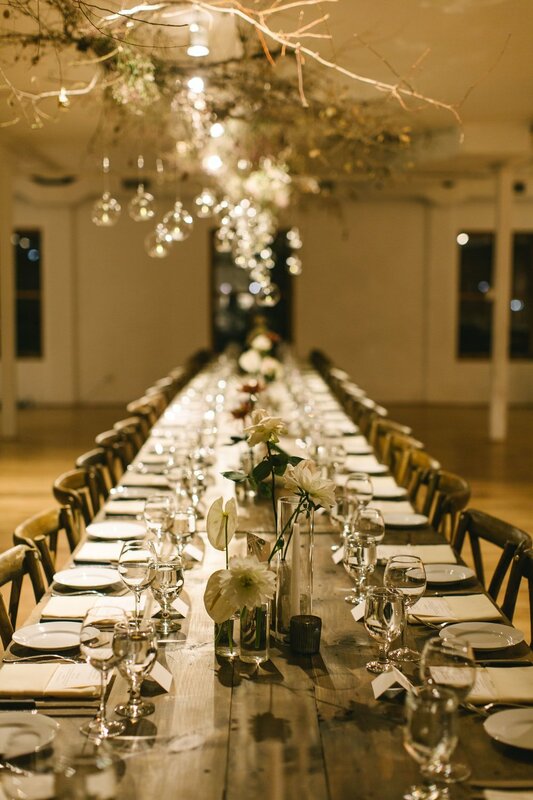 COLLECTIVE/by Sachs wedding planning and design services are lead by Lindsey Sachs, who focuses on producing the best results for her couples, and is loved for her positive, solution-oriented approach. As your dedicated wedding professional, Lindsey is a trusted sounding board to absorb your vision and hear what’s most important to you. By understanding your personal style, she can successfully design a wedding experience that is so authentically you! No matter the service level, we begin working together right away. FREE INITIAL CONSULTATION / We'll focus on your vision and offer creative ways to make your wedding day authentically yours. This consultation can be a phone call, in person meeting, or a Skype/FaceTime session. Contact us today to start the conversation. CUSTOM PROPOSAL / Following our consultation, we will prepare a custom proposal crafted to your wedding planning vision. AGREEMENT & DEPOSIT / Upon acceptance of the proposal, you'll receive a wedding services agreement and deposit invoice. Once the agreement is signed and your deposit is received, your wedding date is secured and we commence planning. PLANNING TOOLS / You will receive access to an online shared folder that allows for real-time collaboration and access to all planning documents. WEDDING PLANNING GUIDE / We will create a custom wedding planning guide outlining next steps associated with your service. IMPLEMENTATION / This is where Lindsey's ability to collaborate with you, provide detailed and timely updates, and thoroughly execute to plan really shines. You can lean on our expertise and knowledge of local wedding vendors as we help curate the right cast of talent to meet your personal style and budget. COLLECTIVE/by Sachs is currently booking weddings in Boulder, Denver, Aspen and across Colorado. Domestic and international destination wedding planning is welcomed and available upon request.